A Cotillion for Social Enterprises…What??? What do social enterprises in Los Angeles have in common with Southern debutantes?… Well, they’ve both reached a “coming of age” – except social enterprises did it without the white gowns, satin gloves, and big hair. If you missed the social enterprise “cotillion” (in the form of REDF’s Social Enterprise Expo on May 9th), you missed out. Lucky for you – I’ll tell you about it – because it’s a pretty big deal and I want to celebrate it. For over a decade now, we at Blue Garnet and other socially-minded people in SoCal have been kicking around the idea of social enterprises. The concept has slowly been growing roots, and now, thanks to REDF’s Social Enterprise Expo, there are legitimate, serious social enterprise conversations, attention, and investors – in fact, an ecosystem! So a big thank you to REDF for organizing the cotillion, I mean, Expo. Not only was it a huge milestone for social enterprises in Southern California – but it was also really fun. 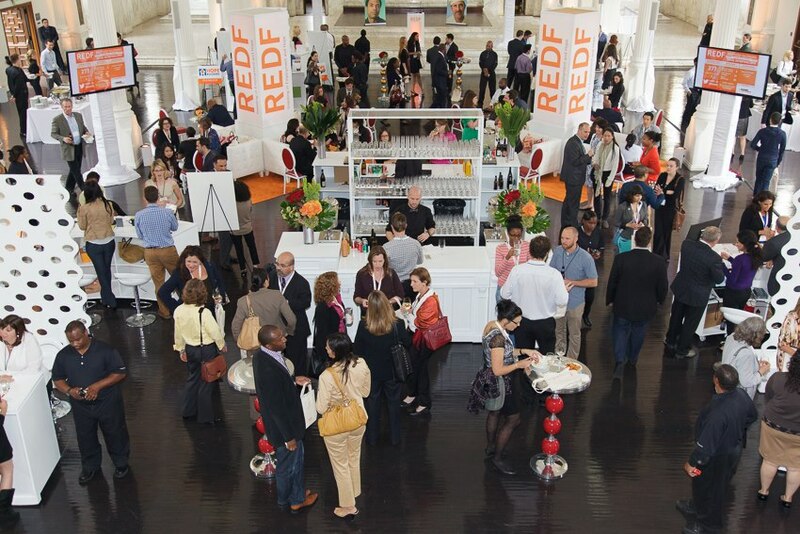 REDF’s portfolio of social enterprises was showcased in a beautiful reception. Participants scanned their barcodes at each booth, where each scan was awarded with a ticket to a raffle with great prizes. How Star Trekky of us! There was also a photo booth that I probably enjoyed a bit too much and I have about 6 photo strips to prove it. Big shout-out to our client, Downtown Women’s Center, for being a finalist in the business plan competition and for winning the crowd vote. Chrysalis, a leading nonprofit we love, was highlighted with their own Expo showcase and helped to staff the event. Back to the big picture. So what do we do now that social enterprise has come out? Let’s keep the momentum and conversation going. Social enterprise shows great promise by managing to a double-bottom line (social and financial measures) in meaningful ways. One word of caution, however, as we move forward – social enterprise is not a “silver bullet.” They are extremely difficult to operate and staff successfully. This is not fluffy stuff we’re tackling here, folks. But for now – let’s pause and celebrate. Everyone raise an imaginary glass and give a big cheers to REDF! Mark Loranger (Chrysalis), Lisa Watson (Downtown Women’s Center), Jennifer Shen (Blue Garnet), Marcus Castain (Generation Water).